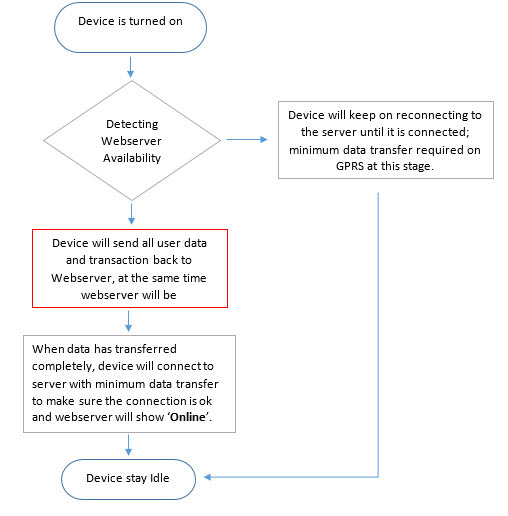 Data consumption will occur when a GPRS enabled device connect to the software via a wireless connection. When data is transmitted via the GPRS connection, you will be charged accordingly depending on the telco services. Your data consumption rate will be measured based on the data plan and rate package that you have signed up with your telco provider and the GPRS service terms and conditions that they have stipulated. 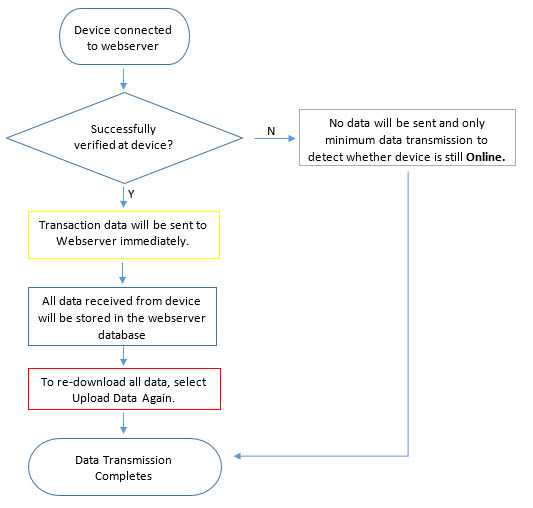 From the legend provided below, you can check and refer at which step the data will be transmitted and the heaviness of the data in order to ensure that you will not be overcharged by your telco provider for heavy GPRS data usage.